Director Neil Blomkamp has done two film's , one District 9 which was very well received. The second was Elysium which we rather liked but some people felt indifferent about it. Now he brings us Chappie. 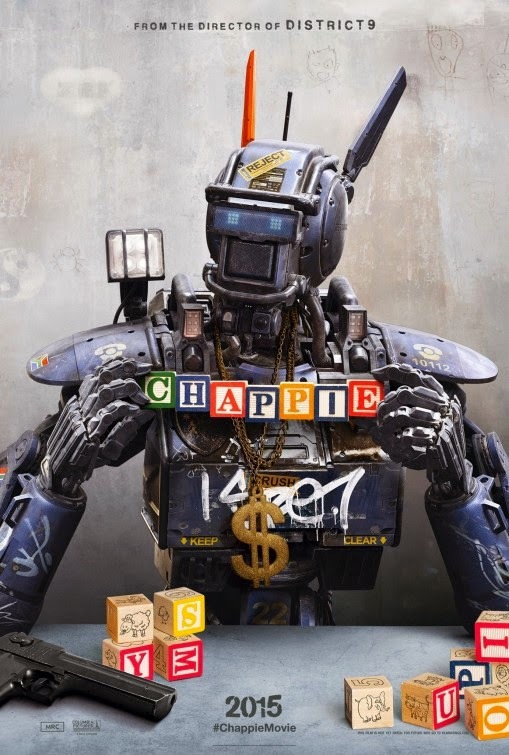 What is Chappie? The synopsis is such: After being kidnapped by two criminals during birth, Chappie becomes the adopted son in a strange and dysfunctional family. Chappie is preternaturally gifted, one of a kind, a prodigy. He also happens to be a robot. Chappie arrives in theaters in 2015 and the first amazing poster is here and the first trailer arrives tomorrow.